“Gentle” and “Monster”, two oxymorons placed side-by-side to describe a brand that makes a product you’d never guess by its name ... Eyewear. Eyewear - the word itself is enough to induce a yawn. 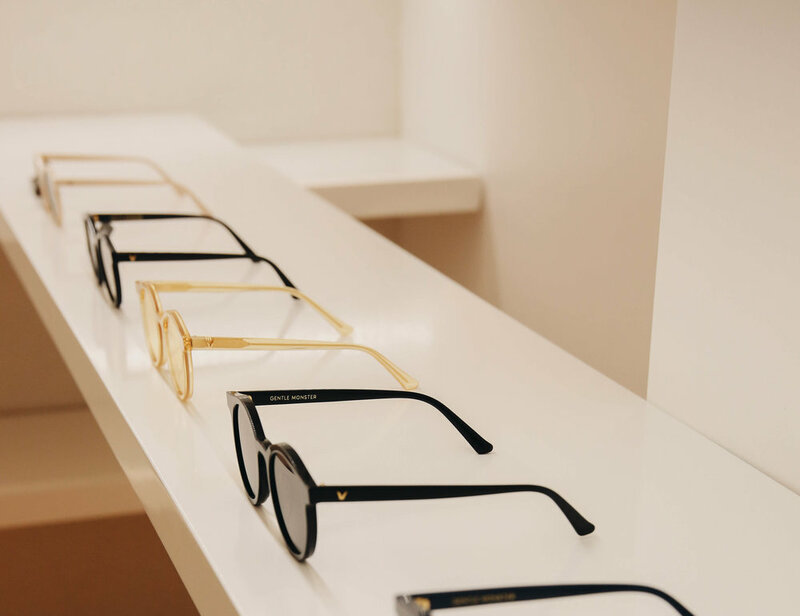 When you think of eyewear, the first thing that comes to mind is your grandpa peering at you through his round, vintage, tortoise-shell frames. The word itself screams old-fashioned. Who even uses that word these days? Eyewear is something that you rarely think about at all, moreover discuss, or worse still, would splurge on. But this is 2017 and you live in Los Angeles. We live in the now and the now is a time to rethink and reconsider past ideologies and beliefs. It’s time to challenge the status quo. Enter, Gentle Monster. 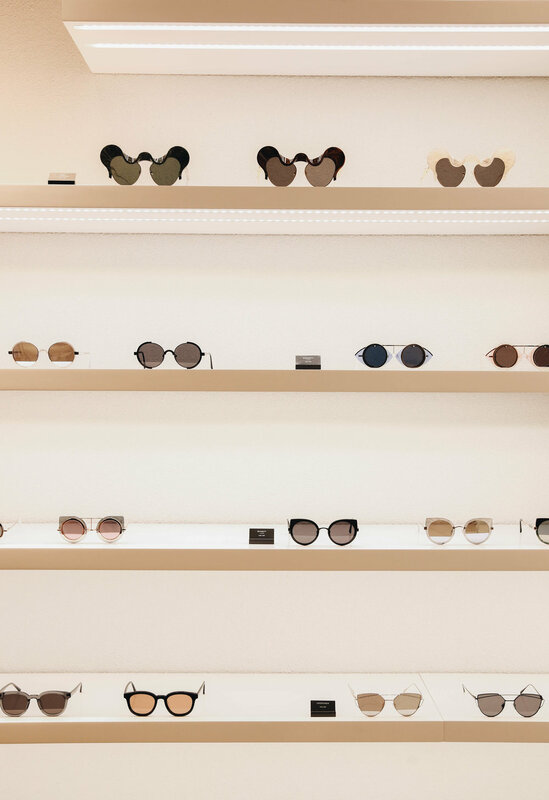 It’s a Korean eyewear brand that has already amassed a cult following in Asia. Like most substantial brands, Gentle Monster started from humble beginnings, an idea to create sunglasses that looked good on a typical Asian face. It was tough finding a pair of sunglasses that were edgy and fun yet was able to be held up by the less defined nose bridge of the quintessential Asian persona. An idea so simple festered into the highly established brand that it is today. From a distance, it is not hard to spot the store. The words “Gentle Monster” are conspicuously plastered on the storefront. Living at the lower level of a historical Downtown LA building is what seems like a furry creature moving vigorously to a standard rhythm. The store is designed under the central theme of “harvest”. It embraces the ancient East Asian tradition of celebrating the harvest moon. On a personal level, the upholding of this theme is a nod to the brand’s Korean identity, a reflection of where the brand was born. The store reinvents the conventional notion of a brick-and-mortar shop. 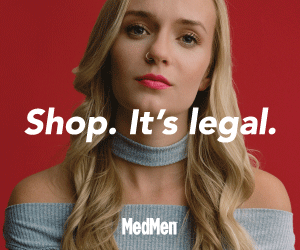 What does it mean to shop these days? There needs to be a stark difference in experience between online shopping and shopping at a physical store and Gentle Monster recognizes that by providing its customers with an experience they will never forget. The experience starts out with a greeting from kinetically charged scarecrows that sit on mother-of-pearl steps that represent the terraced paddy fields in Asia. 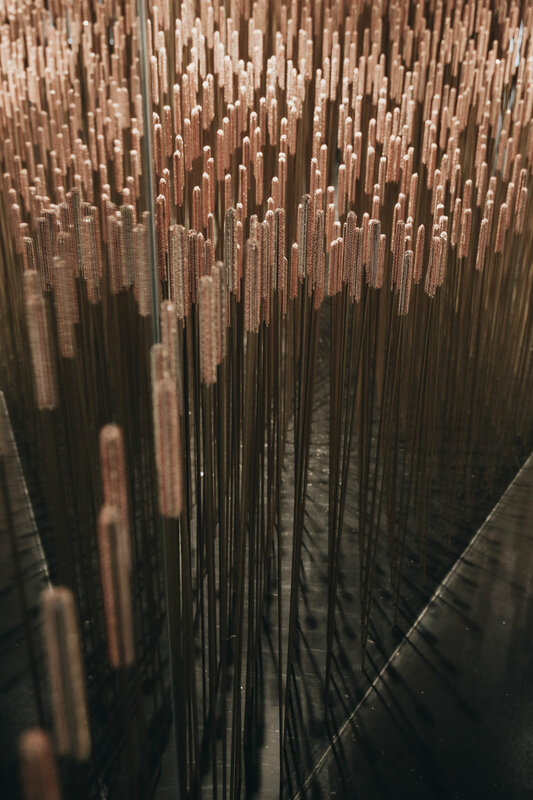 The 2600 vertical metal rods symbolizing the stalks of rice grains, is an attempt to recreate the vastness of an open and boundless rice field. The fun and exuberant hand-woven rugs, a collaboration with Misu A Barbe, represents all that is left after a period of harvest. 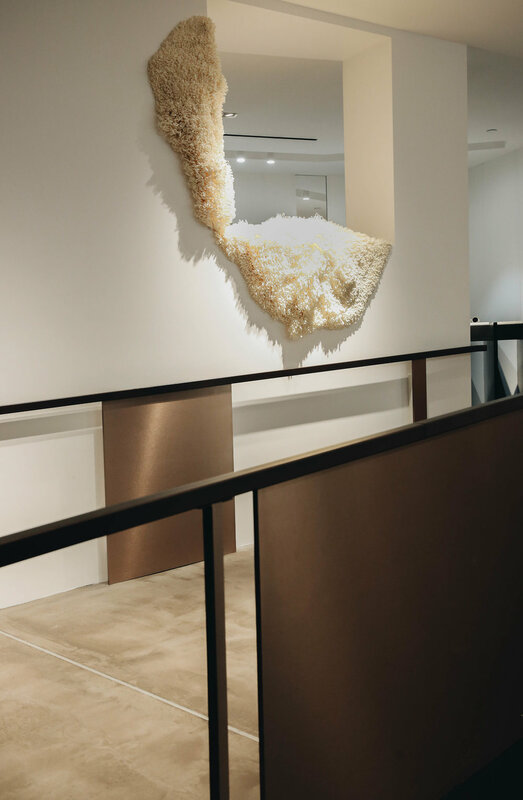 Then there’s an installation by the artist Jung Uk Yang, that mimics the final step in harvesting rice, the process of threshing. It is designed to mesmerize. The end of your experience at Gentle Monster is marked by the soft yet concise “ping” made by the bell belonging to this installation. You are now transported from Gentle Monster’s whimsical harvest fantasy performance back to reality. Describing the experience will never prepare you for it. To put it bluntly, this is an experience that needs to be experienced first-hand. With showmanship of that quality, it is easy to assume that this is all pure compensation for sub-par eyewear. After all, empty vessels make the loudest noise. However, their state-of-the-art cellulose acetate, titanium steel or stainless steel frames coupled with Zeiss lenses speak otherwise. Fair warning, be prepared to find it very difficult to walk away empty-handed. “So why Downtown LA?” was a question that had to be asked to a company that was doing well enough to afford the rent on Rodeo Drive. 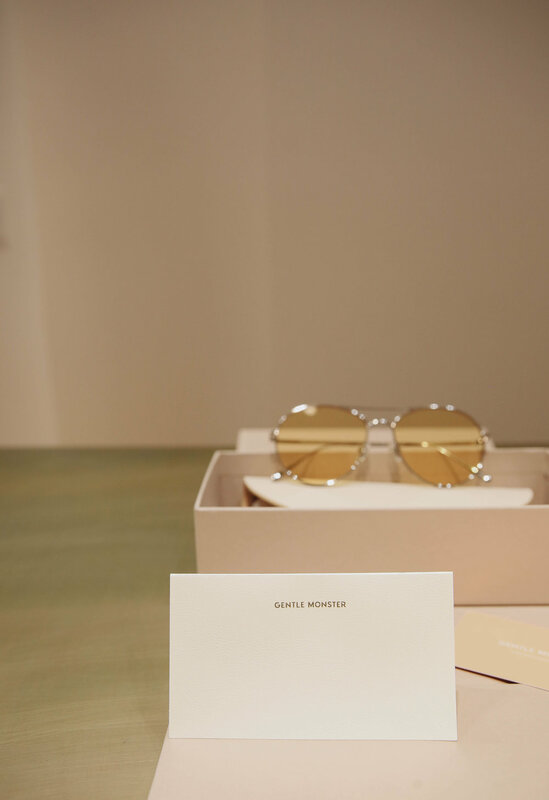 Gentle Monster is trying to break out of the conventional standards of eyewear. It’s all about experimentation and growth. This store represents a journey. The very same journey that Downtown LA is on - a transition into something new and exciting. It seems like the Monster has found its rightful home.